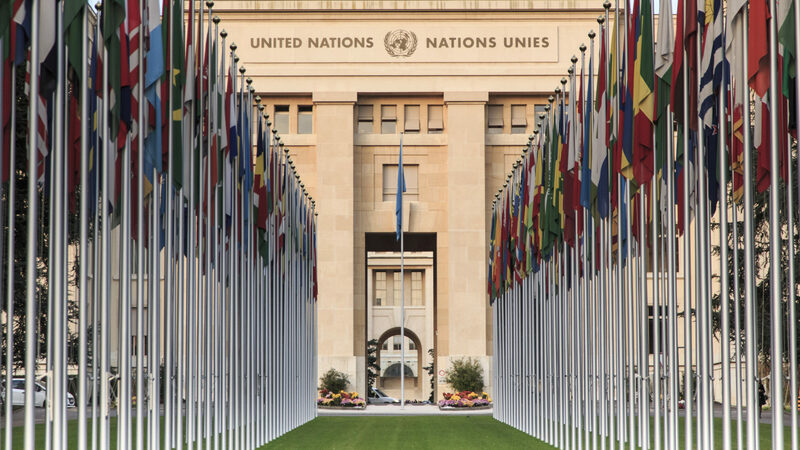 Human Rights House Foundation delivered the following statement during the adoption of Azerbaijan’s Universal Periodic Review (UPR) at the United Nations Human Rights Council (HRC39). This statement enjoys the support of four Azerbaijan human rights organisations. Since its last review, Azerbaijan has adopted repressive amendments to the NGO legislation. It has brought trumped-up charges against civil society leaders, human rights NGOs, and representative and branch offices of international NGOs in Azerbaijan. In addition, many NGO leaders were forced to leave the country and some are still encountering special search and interrogations while crossing the Azerbaijani border. Currently, the legal environment for NGOs has reached a severely repressive stage with harsh limitations established for NGOs in terms of access to funding, especially foreign funding, including lack of free and full ability to operate without any fear and prosecution, paralyzed projects through the blocking of grant money in local bank accounts, and a politicized NGO registration practice over a decade, including registration of representatives and branches of international organizations. The harassment and use of disciplinary sanctions against independent lawyers in Azerbaijan is a cause for serious concern. Threats of disbarment or temporary suspension are used to discourage lawyers from taking on politically sensitive cases and from making appeals, which is a necessary precondition to initiating an application for redress with the European Court of Human Rights (ECtHR). Harassment of lawyers has been very successful at reducing the number of lawyers in the country who are willing to risk their careers and their own security. Independent media operates under the threat of arbitrary measures by the authorities. Despite protection under national and international law that guarantees the right to freedom of expression, Azerbaijan has continued to face challenges in ensuring an enabling environment for the media and journalists. Independent media outlets have been frequently targeted. There is no National Action Plan on implementing the Law on Domestic Violence, adopted in August 2010. Attempts on women’s lives as a result of domestic violence accounted for 87 per cent of all attempts on women’s lives in 2016. The stability of the numbers of women murdered in recent years illustrates the lack of action by the State to offer solutions for women victims of domestic violence and lack of prosecution of domestic violence offenders. Finally, the April 2018 Presidential Election took place in an environment of increasing restrictions on freedoms of expression, assembly, and association. Political repression has increased since the 2013 Presidential Election, and the number of political prisoners has doubled, reaching 138 people. Independent media and civil society have faced severe restrictions to the point where there is virtually no space in which to operate. Prepare the National Action Plan for implementing the Law on Domestic Violence.